This entry was posted in Uncategorized and tagged Cathy Wagner, Daisy Hernandez, Margaret Peterson Haddix Fund, Sherman Alexie on April 7, 2017 by moorebc2. This entry was posted in Uncategorized on March 30, 2017 by moorebc2. This entry was posted in Uncategorized on February 25, 2017 by moorebc2. On Thursday, February 16th, 2017, Miami University Master’s in Creative Writing graduate Matt Young sat down with students in TaraShea Nesbit’s Intermediate Nonfiction Writing course (ENG 323), to talk about his forthcoming memoir, Eat the Apple (Bloomsbury, 2018). The memoir explores the time in his life when he made a rash decision to join the military and the subsequent events that befell him. In this interview, Young discusses how he wrote the memoir, his use of unexpected point of views and images in the memoir, the ethics of writing about living people and real events, and the publishing process from query letters to working with a publisher. This interview was edited for cohesion and conciseness. 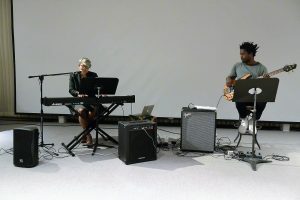 Miami University Press poet/musician Janice Lowe and musician Yohann Potico performed Lowe’s poem “Boy Flower Tamir” for us during the Two Poets and a Bassist event described in our previous blog post by English Department Ambassador Tim Thomas. A videorecording of the performance as well as the poem itself are on our Facebook page here. This entry was posted in Uncategorized on December 7, 2016 by moorebc2. 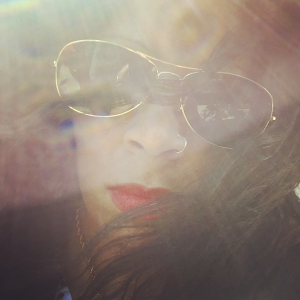 This entry was posted in Uncategorized and tagged collaboration, Janice Lowe, Tyehimba Jess, Yohann Potico on December 3, 2016 by moorebc2. This entry was posted in Uncategorized on October 24, 2016 by moorebc2.